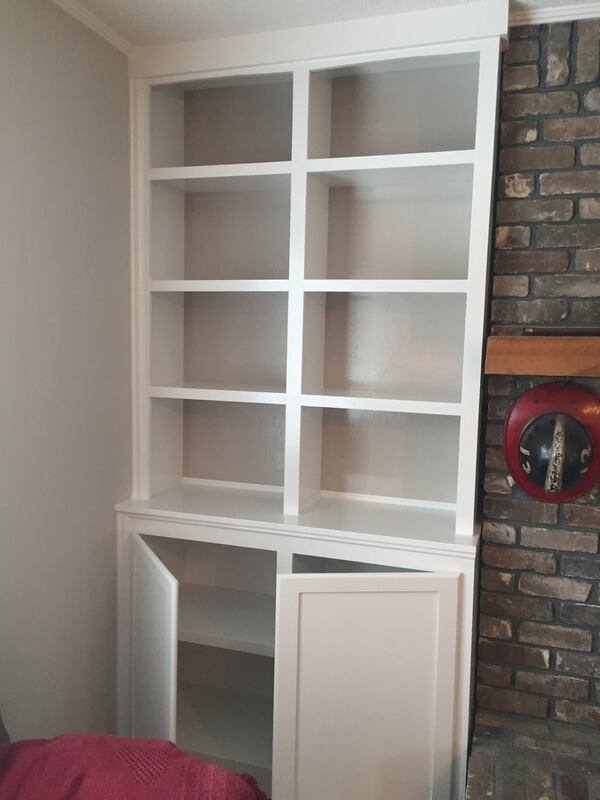 Built-in custom bookcases flanking a fireplace in a house in Homewood. Each one is 8’h x 4’w. Painted wood cabinets with trim.